Prof Brenda Wingfield obtained her PhD at the University of Stellenbosch in 1989. She is currently a Professor in Genetics in the Department of Genetics and Deputy Dean: Research and Post Graduate Studies at the University of Pretoria, South Africa. Prof Wingfields research focuses on genetic variation within as well as between species. Thus, a certain component of the work done in her group could also be considered to be molecular taxonomy. 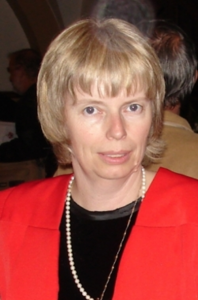 She also has an interest in basic evolutionary biology based on ribosomal RNA-genes and this extends beyond fungi.Prof Wingfield has a variety of collaborations with research groups working on a spectrum of different organisms. Much of this collaboration is in association with the tree pathology research group and the emphasis of this research has therefore been on important plant and tree pathogens. As part of our effort to deal with tree diseases, Prof Wingfield currently directs a programme aimed at detecting trait-linked markers in trees. This programme is supported by major players in South African Forestry. Prof Wingfield’s research group is also investigating the presence of dsRNA in South Africa’s more important tree pathogens with the view to using dsRNA as a means of biological control. Understanding the population diversity of a pathogen is an important aspect of being able to control the degree of disease and disease spread. The genetic diversity of a pathogen is not only determined by the genetic material in the fungal genome. Fungi also have extrachromosomal nucleic acid, the most common of which is dsRNA. In some fungi this dsRNA has been shown to be associated with hypovirulence. Various breakthroughs have already been made on this front.